Steve joined our firm in 1998 and became a partner in 2004. Steve possesses a deep level of financial theory and is able to adapt academic research to the real world of investing. His presentations make complex ideas not only understandable but also useful. With over 20 years' experience in the financial planning profession and business management, Steve has assisted many clients achieve their most important goals. Steve is passionate about his client's future and providing exceptional advice and direction. Steve has been instrumental in developing a team culture built on excellence and fun. This has resulted in Alman Partners being the employer of choice within our profession. Steve was awarded a Diploma of Financial Planning through Deakin University. He holds the professional designation of Certified Financial Planner®. Steve is also a Fellow of the Australian Institute of Management and in 2017 achieved accreditation as a Tax (financial) adviser from the Tax Practitioners Board. Steve is a founding Director of The Mackay Community Foundation and currently serves as Deputy Chair. In 2012 Steve was awarded the Financial Planning Association's Queensland Community Services Award for his work with The Mackay Community Foundation and commitment to providing financial literacy education to our community. Frances joined our firm in 1999 and became a partner in 2005. Frances is an expert in many aspects of finance and investment strategies and excels at helping clients with complex situations. With a wealth of experience in the financial services industry, Frances has the ability to explain the sources of investment returns and how portfolios take advantage of them. Frances expresses great empathy with, and concern for her clients. She has a unique ability for taking complex financial matters, breaking them down and then translating them in essential, simple terms for her clients. Frances is one of the highest qualified Financial Planners in Australia. 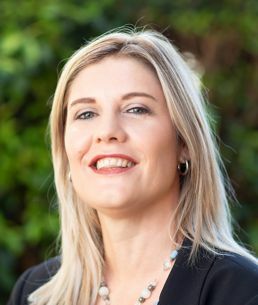 She was awarded a Masters Degree in Financial Planning from the University of the Sunshine Coast, in addition to a Bachelor of Business majoring in Accounting from Central Queensland University. Frances also holds a Diploma of Financial Planning from Deakin University and holds the professional designation of Certified Financial Planner®. In 2015, Frances attained SMSF Specialist AdvisorTM accreditation and in 2017 achieved accreditation as a Tax (financial) adviser from the Tax Practitioners Board. Frances has been a board member of the Mackay Community Foundation since January 2018; engaging with the community to raise awareness of the Foundation, and raising funds for those less privileged in our community. 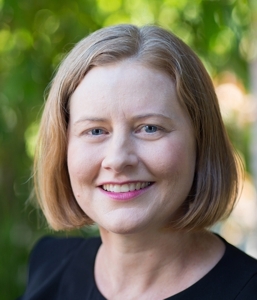 She has also taken on the role of Treasurer of the Mackay Financial Planning Career Development Group since January 2018. Paul joined our firm as a partner in 2010. Paul's passion and natural ability to manage risk and deliver positive financial outcomes, along with his keen desire to understand the values that drive people is invaluable. Paul's background is one of Mechanical Engineering and Project Management with over 12 years' experience in major projects in the mining and construction industries. This vast experience empowers Paul with a wealth of skills and knowledge, which he draws upon to keep his clients on track and accountable to their plan. He continually seeks improvement opportunities and enjoys the challenges that this brings. Leadership and a genuine care and concern for people are among his strongest attributes. Attention to detail is second nature to Paul, so this, backed with the Alman Partners’ brains trust of best in class financial planning experts, makes him the perfect man to have as your Trusted Financial Adviser. Paul holds the professional designation of Certified Financial Planner® which he completed in 2015 and in 2017 achieved accreditation as a Tax (financial) adviser from the Tax Practitioners Board. Teneale commenced employment with our firm in 2008 and became a partner in early 2016. Teneale is one of our highly qualified financial advisers who possesses a thorough understanding of the technical aspects required to deliver quality advice to our clients, within the ever changing regulatory framework of our profession. She has a passion for working with people and demonstrates a high level of maturity and compassion when dealing with clients. With her empathetic manner, Teneale enjoys assisting clients to reach their most important life goals by providing comprehensive strategies in a way which is easily understood. Teneale was awarded her Bachelor of Commerce (with Distinction) and an Advanced Diploma in Financial Services through Deakin University in 2012, majoring in Finance, Financial Planning and Management. She is a member of the Financial Planning Association (FPA) of Australia, and in 2016 received the professional designation of Certified Financial Planner®. In 2017 Teneale achieved accreditation as a Tax (financial) adviser from the Tax Practitioners Board. Teneale has a wealth of knowledge in many areas of finance and financial planning strategies and is also a specialist in personal risk insurance. Her ability to adapt this knowledge to help clients at all stages of their lives is second to none and provides clients with complete confidence and peace of mind. Simone joined our firm in 2016 as our Specialist Risk Adviser. Simone is a second-generation financial planner, being introduced to the industry by her father in 2001. Born in Mount Isa, Simone’s family moved to Mackay when she was a child. Simone now has three children of her own who are active in weekend sports. Simone and her husband enjoy cheering them on from the sideline, and getting out on the water when possible. Her true passion is providing personal protection (Risk Insurance) to clients, ensuring that families have financial options at the most difficult times of their lives. Simone holds an Advanced Diploma in Financial Services. 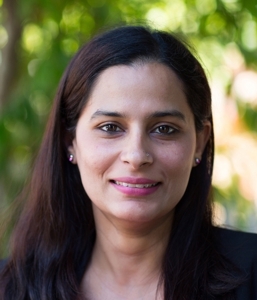 Niyati moved to Mackay from Mumbai, India in 2014 and brought over 8 years of experience in the global financial sector. She is a qualified Chartered Accountant from Indian Institute of Chartered Accountants and also holds a post-graduate diploma in Business Management from Indian School of Business (Global FT Ranking 10). She has over 6 years' experience in Investment Banking. Niyati's financial acumen and analytical prowess are second to none and together with her global experience, brings a new dimension of capability and cultural diversity to our team. Niyati is passionate about exceeding client expectations and delivering world-class advice, as she knows that this will increase the confidence and clarity our clients have for achieving their personal goals. Niyati loves to learn and in 2018 received the professional designation of Certified Financial Planner®. She also completed her Advanced Diploma in Financial Planning and the Diploma in Financial Planning in early 2016. Niyati and her husband Kairoze, have recently welcomed their first son Sean. Niyati, and her husband Kairoze are enjoying their ride as parents to Sean and their adopted dog Denver. Scott established Alman Partners in 1985 and continues as Chair of the executive team. Scott's skills in strategic planning have underpinned our firm's overall direction, while his problem solving innovations for clients set the firm apart from its competitors. 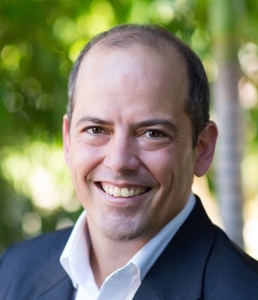 Scott was one of the first generation of Certified Financial Planners in Australia and has been a pioneer within the profession, particularly in the area of fee for service advice and education. Nationally, Scott has received recognition for his achievements and the respect of his professional peers through industry awards, published articles and speaking engagements. Scott was awarded a Diploma in Financial Planning through RMIT in 1995. He holds the designation of Certified Financial Planner® and is a Fellow of the Financial Planning Association of Australia. 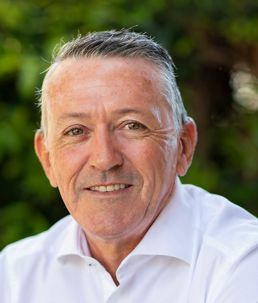 Scott established The Mackay Community Foundation in 2003, being founding Director and Chairman to assist the less fortunate in the Mackay regional community. 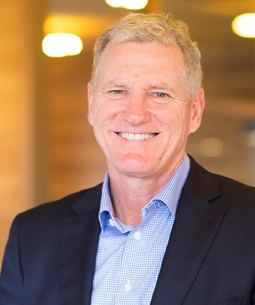 In 2008, Scott's contribution to the Mackay community was recognised when he was selected as the winner of the Queensland Regional Achievement and Community Awards, in recognition of his work with The Mackay Community Foundation and with the development of a financial literacy program for children and adults. 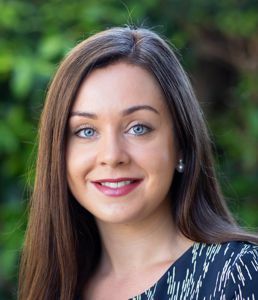 Kelsey commenced employment with our firm in May 2016, after moving from the UK and spending some time in Cairns. Kelsey holds a Business and Management Degree and completed her Diploma in Financial Planning in 2017. She has over 7 years’ experience working in the UK financial services industry and enjoys developing her knowledge base. Kelsey is passionate about building strong relationships with clients, assisting in meeting their goals through the development of technical strategies. Kelsey enjoys making a difference in the community and is a member of the Community Accommodation Support Agency (CASA) Management Committee. In her spare time, she enjoys meeting new people, camping and exploring the region. 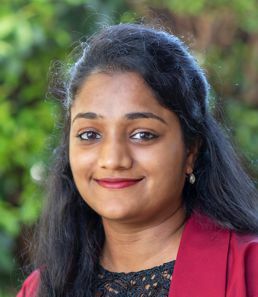 Aditi joined the Alman Partners’ team in August 2018 after moving to Mackay from Sydney. Originally from Mumbai, India; Aditi values hard work, honesty and positivity. Aditi has been in Financial Planning for over 2 years, holding qualifications of Diploma of Financial Planning and Advanced Diploma of Financial Planning. Aditi brings a wealth of knowledge with her and combined with her charming personality, is a welcome addition to our team. In her spare time, Aditi enjoys keeping active, along with cooking and painting, and dreams of travelling the world with her family. Originally from Brisbane, Karlee joined Alman Partners in August 2018, bringing with her over 10 years’ of Financial Planning industry experience. Karlee has valuable experience in a range of environments, including investment banks, boutique dealer groups and self-managed licensees. She has been directly providing advice to clients since 2015. 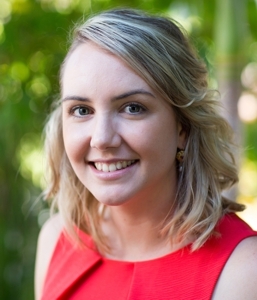 Since relocating to Mackay in early 2017, Karlee has forged a strong connection with her local community. She aims to improve financial literacy and make a tangible difference in her region, with a particular passion for empowering women. 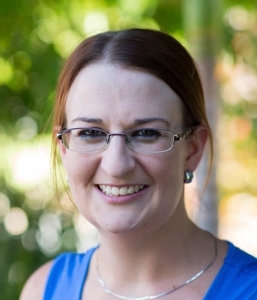 Karlee is a Board member of the Zonta Club of Mackay, where she currently holds the position of Treasurer. She is also a member of the Community Accommodation Support Agency (CASA) Management Committee. Karlee prides herself on fostering strong relationships with her clients and developing tailored strategies to achieve their goals. She holds an Advanced Diploma of Financial Planning, as well as qualifications in journalism. She was accredited with the Tax Practitioners Board in 2015. Karlee was honoured to be recognised as a Top 6 Finalist for the AFA Rising Star of the Year Award in 2017. Outside of work and community activities, Karlee and her partner love to explore the natural features the Mackay region has to offer. Weather permitting, they can generally be found on the water, discovering the Pioneer Valley, or spending time at the beach with their two dogs. Jenean joined our team in February 2018 as one of our team of dedicated Client Service Officers. 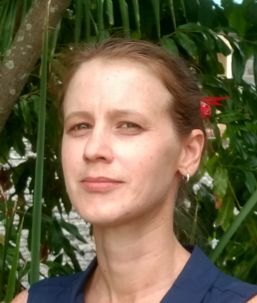 Originally from Bloemfontein, South Africa, Jenean moved to Mackay in December 2016. She has a strong background in the financial services industry, having worked for fund and asset managers for 10 years before moving to Australia. 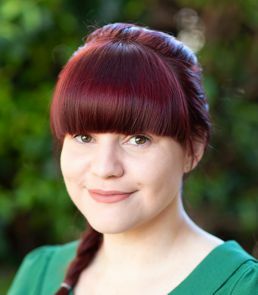 Jenean has worked in various roles including Reception, Administration, Personal Assistant and Marketing Assistant, with skills in social media management and event planning. She has also completed programs in Public Relations and Office Management. In her free time, Jenean loves spending time with her husband and two teenage children, taking their two dogs for long walks on the beach and enjoying the outdoors. Alexandra joined our Client Service team in October 2018. She prides herself on client service and establishing long-lasting relationships. Alexandra comes from a strong legal and retail management background and is more than capable of assisting our clients with any queries. A Mackay local, Alexandra has recently completed study for her Bachelor of Law & Bachelor of Commerce (Accounting) qualifications. Alexandra has a passion for design and music. She also enjoys yoga and travel. Kaarina joined our dedicated Client Service team in January 2019. Kaarina has extensive taxation experience having worked with the ATO in Brisbane for over 16 years. 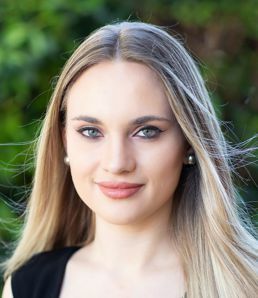 She holds the designation of CPA, has completed her Bachelor of Commerce/Bachelor of Economics at the University of Qld and Masters of Taxation from the University of NSW. 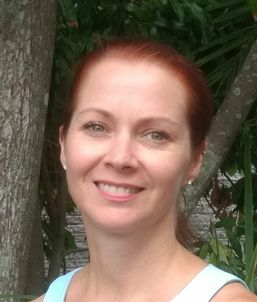 Originally from Mackay, Kaarina has worked in Administration and Bookkeeping since her return. Being career-focused, Kaarina is always looking for an opportunity to develop her skills in financial planning and expand on her taxation background. Kaarina has an exceptional work ethic and is more than happy to assist with any client enquiries. Kylie joined our ever-expanding team as Director of First Impressions in January 2019. Having experienced a range of roles in the financial planning industry, dating back to 2003, Kylie has acquired a collection of skills and knowledge that allows her to comfortably assist any client or support our team. Kylie adds her own creative flair to any work assignment with her personal motto being “live a creative life.” This certainly shows in her passion for mixed media art, paper crafting & card-making. Additionally, in her spare time, Kylie enjoys experiencing the outdoors with camping, fishing and 4WD-ing, relaxing by the pool or at the beach with her dog. 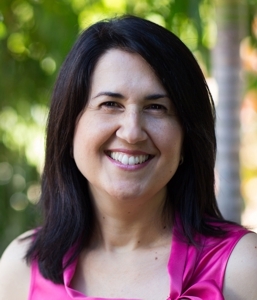 Born and raised in Mackay, Rita commenced with our firm in 2003. As company accountant, Rita combines her exceptional accounting and business management skills to ensure the smooth and efficient operation of our practice. In addition, Rita plays a major role in our human resources and compliance teams. Rita has gained valuable experience from witnessing the inevitable market cycles which have impacted Mackay over the years, which she applies in her work with our firm. 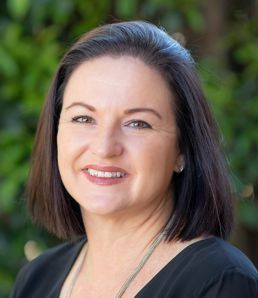 Rita achieved her Bachelor of Commerce from James Cook University in 1990. Rita holds the professional designation of Certified Practising Accountant. Kerri commenced employment with our firm in 2011 and has transitioned from Receptionist to Client Service Officer to Project Officer. Kerri assists in the completion of minor and major projects, staff training and lending a hand to our highly skilled Paraplanning team. Having a passion for graphic design, she is constantly refreshing our documents and marketing material to ensure our clients are always kept up to date. Kerri’s friendly and helpful manner, combined with her exceptional work ethic ensures our clients and team have all the support they require. In her spare time, Kerri enjoys relaxing with her young family and pets. 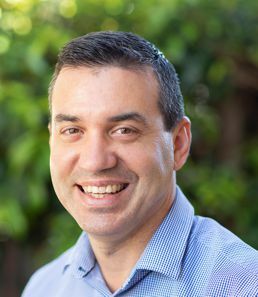 Matthew Falzon joined Alman Partners in October 2018 and was born and raised in Mackay. Matthew has a passion for continuous improvement, with a deep understanding of how to increase efficiency and remove frustrations by the application of continuous improvement methodologies and technology. He started his working life as an electrical apprentice and has a diverse work history across, predominately, the mining and manufacturing industries, in roles spanning engineering, project management, maintenance and technology. Outside of work you'll find Matt fishing and crabbing, walking on the beach and enjoying time with his family and friends.